Motorola devices have been receiving updates throughout the week with devices like Moto M and Moto X Play updated to Android 7.0 and Android 7.1.1 Nougat respectively. 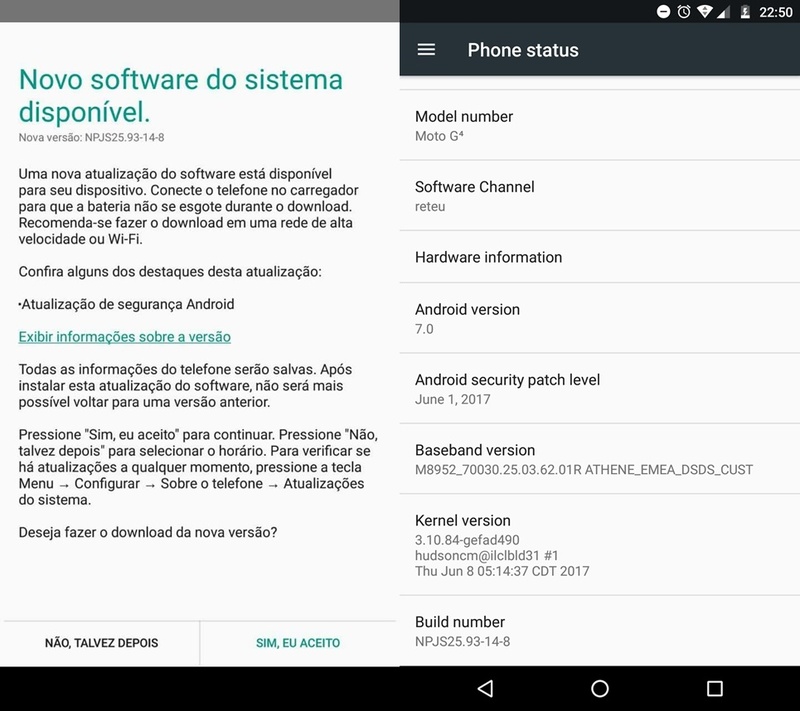 Although Moto G4 Plus still hasn’t followed suit and updated to Android 7.1.1 as of yet, Motorola has been gracious enough to provide its users in Brazil with an update that brings with it the June Security Patch via OTA. The current OTA weighs in at 56MB update is targeted at device mode device variant XT1626 carrying build number NPJS25.93-14-8. With no clear changelog being provided for the update, it yet remains to be known the changes brought by the latest OTA. With July Security Update already available for various devices, no Motorola mid-ranger or entry-level handset has seen a July patch update which is a definite cause for concern. Although the update is only being seeded to users in Brazil, Motorola sells the same unlocked variant over across the world implying that it can be considered safe to download the update and flash it on your device.